This series began like many others, sitting in the break room with my co-worker Bianca and flipping through the Crunchyroll application on her tablet while trying to figure out which series we should watch next. 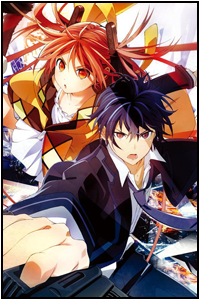 Out of all the anime available, we decided on Black Bullet (Well, she had seen the first episode and thought I would enjoy it. B-Bot seems to know my tastes pretty well so I tried it out). I was very impressed with the first episode and I wanted it to stay on par, whether it could or not was a different story. 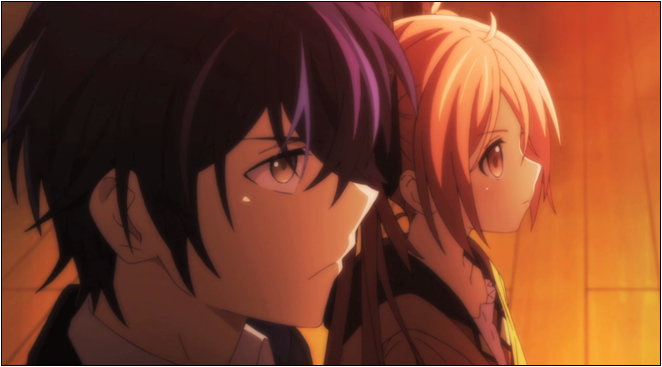 Finishing off Black Bullet, I have my fair share to say about this anime, some good and some bad. Overall, you can go ahead and hit the jump to find out what this anime is about and if it is worth your time to watch it from my prespective. The Great Gastrea War of 2021 caused a massive loss of human life, with a “Stage 5” gastrea nearly wiping all of mankind out of existence. Since that gastrea’s defeat and a narrow victory by mankind, the citizens of the Tokyo area were forced to construct “Monoliths” made of varanium to keep the remaining gastrea at bay. 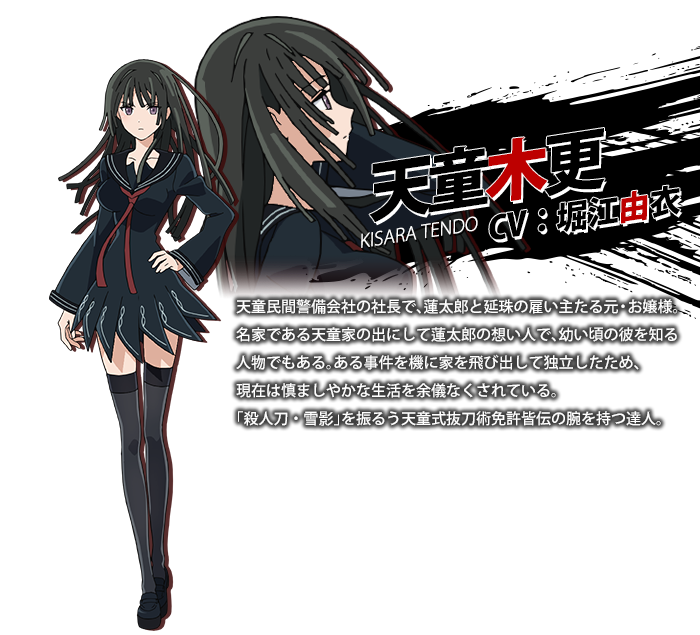 The Civil Officer pair of Rentarou Satomi (Promoter) and Enju Aihara (Initiator), work for the Tendou Civil Security under President Kisara Tendou to destroy any gastrea that infiltrate the city. 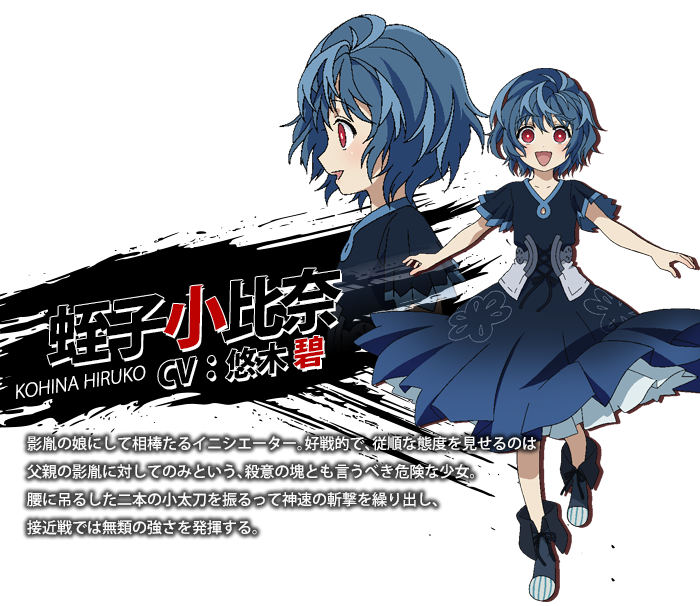 Enju is one of the kids known as a “Cursed Child”, someone born with super human abilities since they had the gastrea virus in them before birth. Though Cursed Children are often shunned, they are necessary to make a Civil Officer Pair. With new threats arriving that threaten to wipe out the Tokyo area and all of humanity, will the combined efforts of Rentarou and Enju be enough? They do a really good job showing the vast scale of the gastrea infestation, showing how mankind is all but hanging on to a single area in a world overrun with them (Kind of reminds me of Shingeki no Kyojin in a way once I really think about it). You can tell that this is a massive concern for everyone involved because there is constant fear of a pandemic (Even within the very first episode), outbreaks have to be quarantined and quickly eliminated as a result. This sets up the main center of the story’s plot and gives an immediate ultimate enemy for everyone involved in the series (To a degree). In fact, the gastrea is such a key element that they place a dire emphasis on the fact that they are only a monolith failure away from possible extinction. 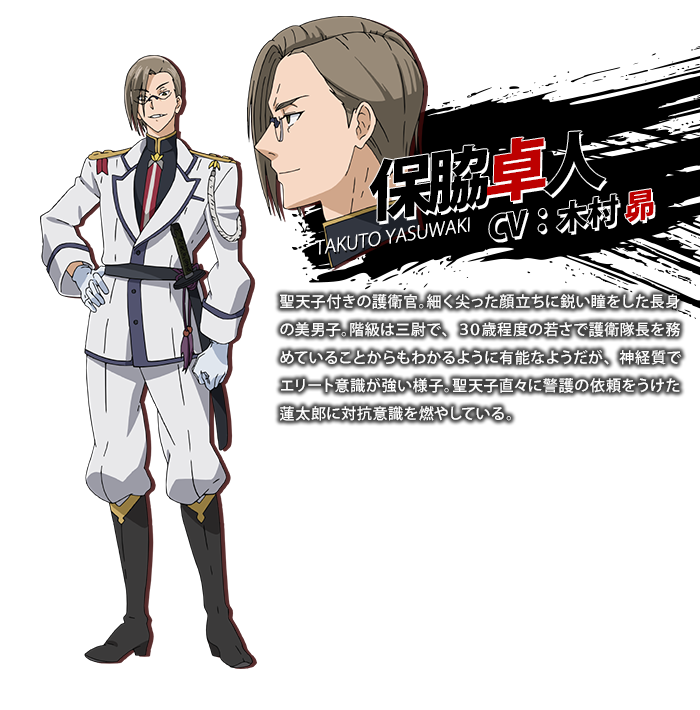 The main action within the plot comes from fighting to stop the gastrea from destroying the Tokyo area, and they have a special way to fight against these plagues to the human race in “Civil Officer Pairs”. Promoter and Initiator (Initiator being a cursed child) fight against these beasts using varanium, a metal which stops gastrea from regenerating its injured or destroyed body parts. These guys (Promoters) are the main source of humanity’s hope, but despite the Cursed Children’s power surpassing that of their Promoter’s and doing the majority of the work often times, they are still shunned by the very people they are protecting simply because they are born infected. I feel that they stir up emotions internally by repeatedly posing the question to Enju and other girls, “What exactly are you fighting for? A world you cannot live normally in?”. I think this is a great showing of how some people will fear what they do not understand and base hate on second-hand information. The only real things that get me about this series is the holes it leaves within its plots, but I suppose that is expected out of all series that last 13 episodes (Or at least an ending that feels rushed). 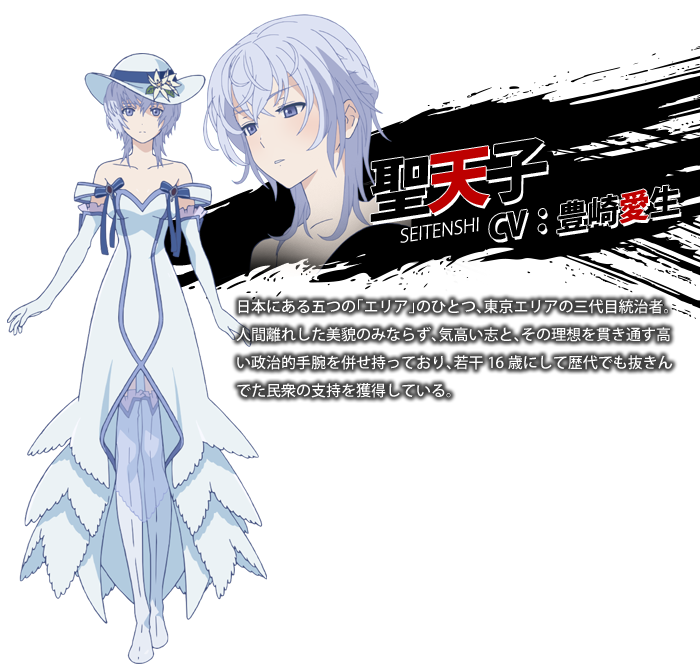 The epidemic that started it all is still a mystery, something that was clearly not addressed in this series is how the gastrea manifested, what is their original origin? I would have liked some type of explanation on what caused gastrea to first appear and why they have such overwhelming abilities compared to other creatures and animals. Something else I want to know is why have they not worked on a practical defensive measure should a monolith ever fail since they will needs days to reconstruct a brand new one. Also, towards the end, Rentaro is joined by a highly unlikely ally with little to no logical explanation on why they would transition to their side. 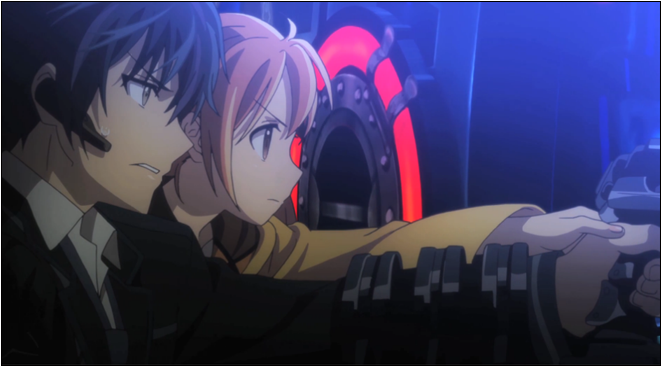 I think that Black Bullet was executed well and made the most out of its 13 episodes. It introduced the problem plaguing humanity, and it had a few cases where the entire race was on the line and the outcome of their fate would be decided within the next key moments. I did not really enjoy that they left a ton of plot holes and somethings left unsaid, but they also explained a slew of the other mysteries that I was wondering about and caused me to become intrigued by the series’ unpredictability in major moments. All-in-all, not too bad. 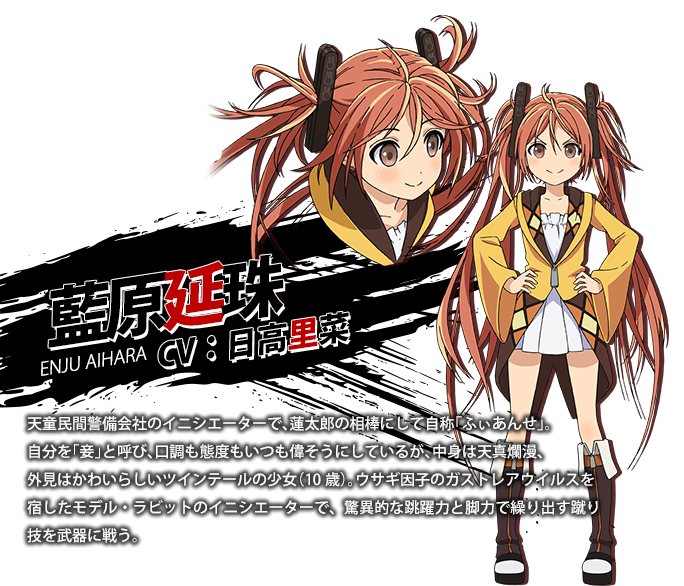 Characteers presented in Black Bullet were all a bit mundane, no one really stood out because they all appeared rather ordinary, even some who were suppose to have extremities in their behavior patterns. 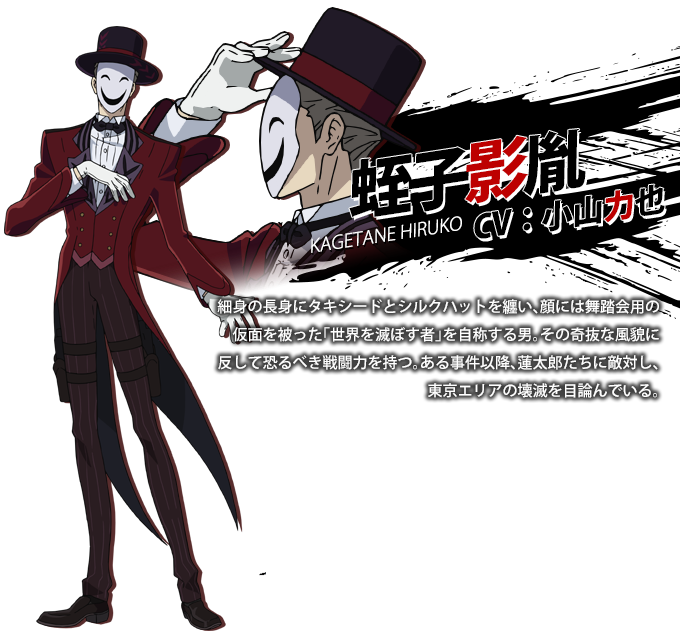 However, I do not think this is a bad thing because they are given personalities that make them appear all too human, which should be the point of a series that is as serious as this one. Within the craziness you can see logic and reason, a clear point behind the madness that constitutes them not being as insane as they first appeared. Even some of the characters that appear light-hearted and loving seem to have a darker side within them, this causes me to believe that no one is entirely pure or evil, rather that they linger within the gray area and it happens to be more light or dark than the others. 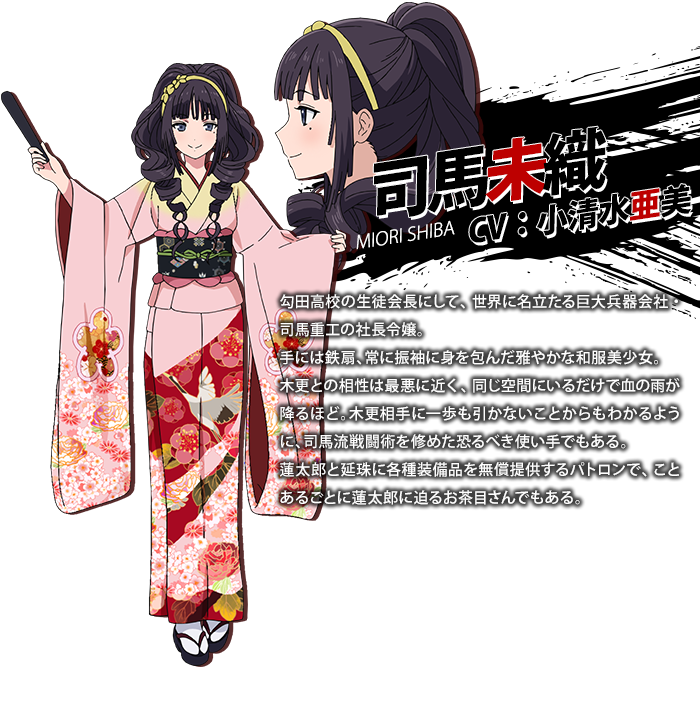 A big part of character development actually goes to Enju and to Kisara, who are coming into who they really are by the end of the series. Heart ache and a twisted past can sometimes create devils out of angels, on the other hand, sometimes you can mend an angel’s broken wings if shown enough kindness. They have scenarios which tested the very mettle upon which they could base their lives on or which they have dedicated their lives to finding out. Something else that seemed a bit off about how they progressed their characters is Rentaro. 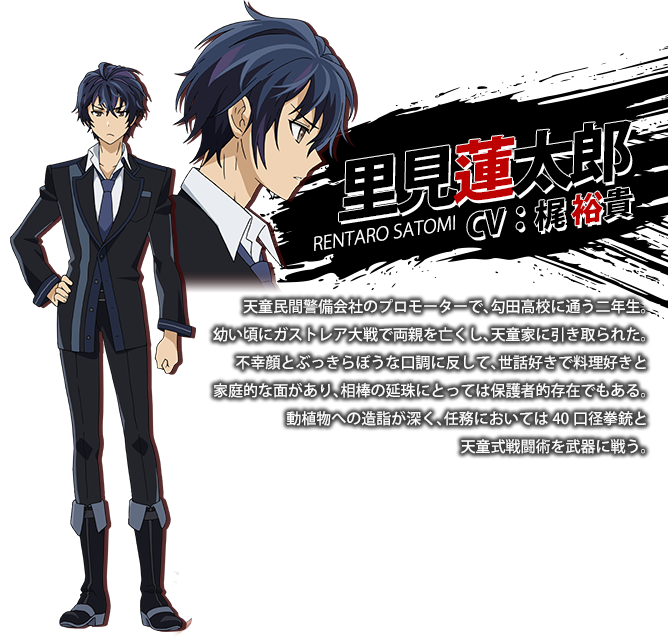 Rentaro is the main character yet he is pretty static, he does not change and become better or worse, he simply adapts to the situation with the same attitude he had when he first began. Sure, we see his bond with Enju and we can all respect that, but I am sure he always felt that way about her and we are seeing the physical manifestation of it when he is pushed to the brink, not him evolving because of something that occurred during the actual anime. In fact, the character relationships do not actually seem to deepen throughout the series, but you are constantly reminded how everyone feels for each other and it is among the realest simulation I have seen yet. You begin to get caught up in the character’s feelings towards each other and it makes for some tear-jerking moments. The biggest issue which demonstrate the general personalities of the populace is the idea of humanity shunning the Cursed Children. This is entirely stupid because there is no way that fights against the Gastrea could be won if not for the help of “Initiators”, yet you will treat them as second class citizens. One such example is a Cursed Child blinding herself because she hated her red eyes so much, the telltale sign of a Cursed Cursed child at first glance. This goes from children all the way up to adult, but it also allows us to see how prominent the threat of gastrea are…but it also shows how ignorant and thoughtless we all can be. All-in-All I think Rentaro was the weakest character when it comes to personality evolution simply because he did not have many faults to originally begin with, if they would have made him a less likable character and we grew to love him over time, it would have been better. 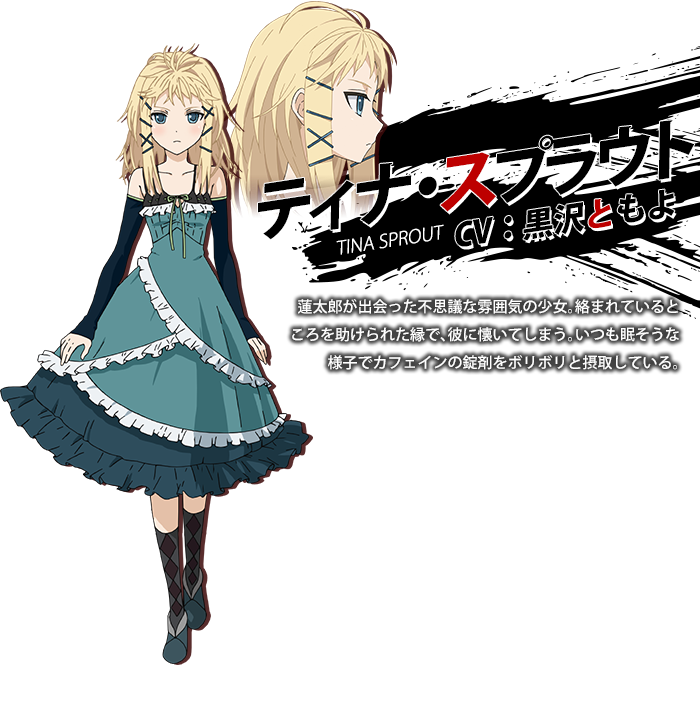 Excellent character personalities resonate within this series to everyone, but having such complex personas can easily make it where everyone does not stand out very well, so their greatest strength is also their greatest weakness. 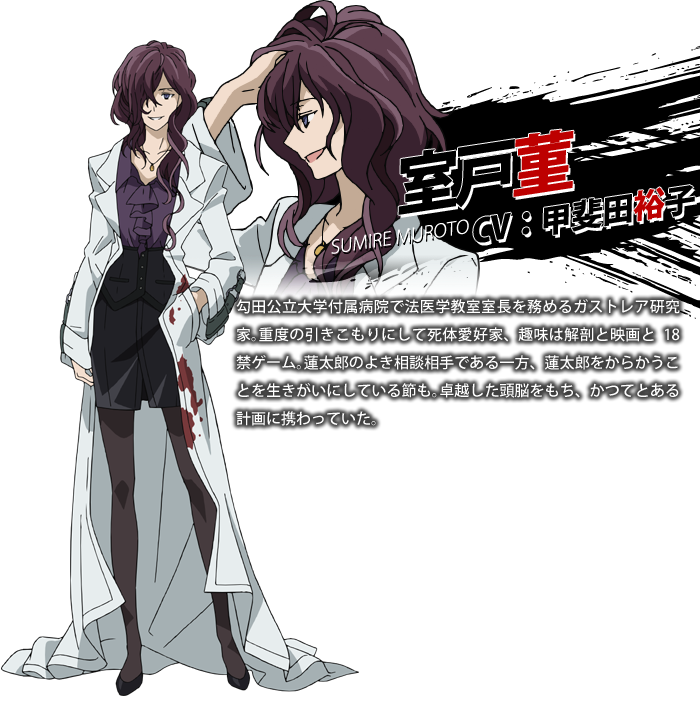 Moreover, making it where they are so in-tune with each other, especially within their Civil Officer Pairs, increases the belief that they actually want to do their best to save the Tokyo area. There are two things here specifically that I want to address that does not fit into any other category, and those things happen to be the 3D animation of the Gastrea and the “Tendo” Martial Arts Styles. The first thing happen to be the 3D animation when it comes to the Gastrea. Anyone who knows me can tell you that I prefer something to be one thing or the other, if you are going to have something 3D I would prefer that the entire anime series be 3D (Such as RWBY). 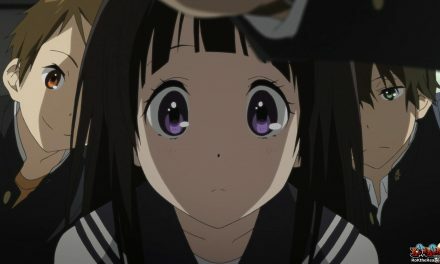 In fact, the only time that I have ever happened to not dislike 3D CGI in my anime when it has 2D hand drawn images is during Initial D and Black Rock Shooter the TV series. I will try not to stress on it really, but I would just honestly have liked it if they drew out every single thing, even if it is cost effective. 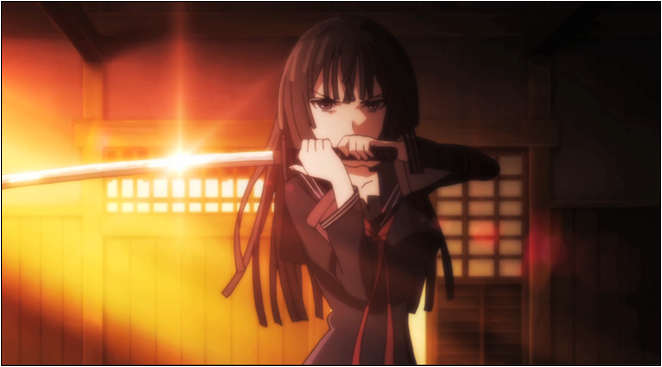 The second thing that bothers me is the “Tendo Martial Arts Style” that a few people in this anime have been using. Normally when someone practices a martial arts style or a variation of a martial arts style, they have similar moves and techniques. Even during branching martial arts styles, such as those of Chinese Gung-Fu which offers a wide array of disciplines, we normally see the base style in movements, attacks, and patterns because they are based upon the same principal. So far, I have seen two bare-handed fighters (Utilizing different techniques), a swordsman, and a trident user of the Tendo style. None of their styles seem to be the same, in fact, one of the stances happened to be made up by the person using it. I do not know, I would have preferred them to have a centralized theme when it came to their fighting style to where you could go, “Oh! I see they all trained under the same style!”. Also though, there was not really a lot of opportunity to see the other styles (Besides Rentaro) in action. STRENGTHS – Good interpersonal relationships, Satisfactory ending, Good art direction, good animation. WEAKNESS – Many unanswered plot holes, Gastrea origin remains unknown, 3D CGI enemies, Most characters are uninteresting on their own, Needed more fight scenes. 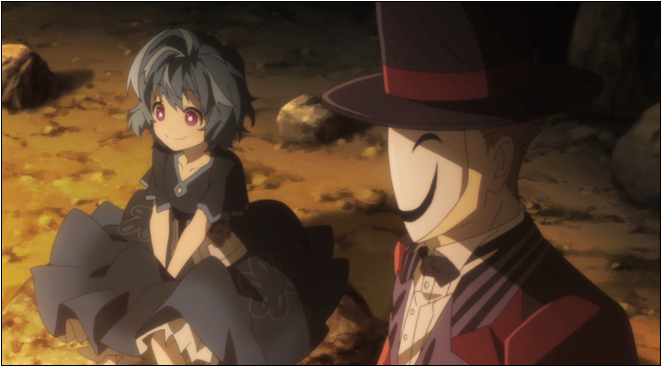 Black Bullet was a pretty good anime with a lot of strengths at its disposal, but it fell short on a lot of things that would have made it more interesting to watch and increased the depth of the story it was portraying. I would have liked to see a lot more fighting and action, especially between Civil Officer Pairs as opposed to the Gastrea (Though that could just be because I hated the 3D CGI that the vast majority of them were portrayed as). They had very strong interpersonal relationships and built a solid foundation of love with those whom they adore, but they also dropped the ball by having some characters suddenly change their minds on a whim without any justified reason (Kagetane, for instance). All-in-all, I am glad that I happened to watch this anime series, but I would not watch it a second time and it is not something I would really recommend as a “Must Watch”, but not too bad of a waste if you have the interest and the time. There are some pretty cool moments, and this anime really shines when it hits those strides, but it can also become lacking and uninspired during some of the plot progression. Thank you for reading my review!